Welcome to Mumbai, a multicultural metropolis with a colorful history. This vibrant city is now India’s premier seaport, center of culture and industry, and home to “Bollywood.” Your hotel room is available for mid-afternoon check-in. Your PRIVATE GUIDED TOUR starts with the Chinese Fishing Nets—the livelihood of many local fishermen—and a walk through the Jewish quarter. Next, visit the KERALA FOLKLORE MUSEUM which aims to preserve and educate people about the unique culture and heritage of South India. This afternoon, enjoy an unforgettable CRUISE on the backwaters of Kerala. Explore and witness local life along these serene waterways surrounded by lush palm trees and paddy fields. 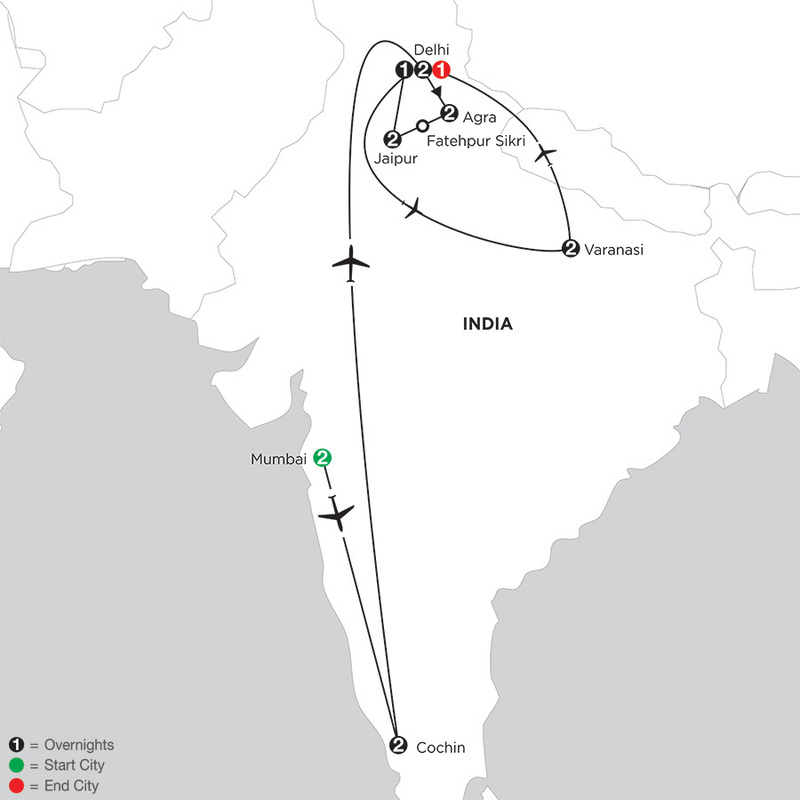 Fly to Delhi, India’s capital city. The Taj Mahal is closed on Fridays. In these instances, it will be visited in the morning on Day 9. Fly to Varanasi, the holiest of Hindu pilgrim cities, situated on the banks of the sacred Ganges River. This evening, your PRIVATE GUIDED SIGHTSEEING witnesses the GANGA AARTI (spiritual worship) on the ghats (steps) leading down to the Ganges. The Fariyas Hotel offers all the major comforts one expects when traveling. After a great day of sightseeing relax in the outdoor pool or steam room, work out at the gym, and grab a drink or a bite to eat at its two restaurants or bar/lounge. Enjoy complimentary wireless Internet in public areas. The Fariyas Hotel is located close to Nariman Point, the Mumbai Port Trust Garden, National Gallery of Modern Art, and Marine Drive . Deluxe Rooms are comfortably furnished and offer an enhanced level of service and convenience. All deluxe rooms are well appointed with high definition TV, complimentary WiFi internet access, down comforters for a restful night's sleep and complimentary bottled water. The stylish Radisson Blu Kochi features contemporary design in the heart of the Ernakulam City. After a day of sightseeing, soak in the rooftop swimming pool, enjoy a spa treatment, or dine in one of the four restuarants on site. The hotel also offers a rooftop bar, business center and gym. Set in the city center in the Elamkulam neighborhood, the hotel provides convenient access to transportation stops and the stores along MG Road. Sleekly designed rooms feature satellite TV and free WI-FI. The Rivatas By Ideal offers a wide variety of options to make your stay enjoyable. Take advantage of their two restaurants, bar, 24-hour room service, outdoor pool, and fitness center. Guests can also book a massage, facial and/or body scrub at the full service spa, Udaya. Located in the heart of Varanasi, near shopping and attractions. Well appointed rooms feature mini-bar, air-conditioning, personal safe, 24-hour room service, and LCD cable TV. The hotel, delivers a memorable experience for guests - from excellent amenities to warm and friendly service. Apart from the 555 well appointed rooms, the hotel features multiple restaurants, a bar, spa and a state of the art fitness center. A comfortable and invigorating experience awaits every time you visit Mumbai. 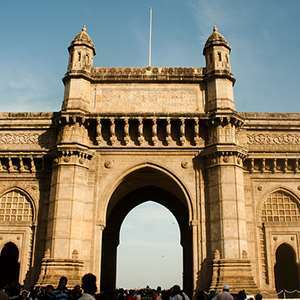 In Mumbai's Nariman Point neighborhood, the hotel is less than 1.25 miles from Rajabai Tower and Gateway of India, and the National Centre for the Performing Arts is half a mile away. Rooms are spacious with 300 square feet to relax with modern comforts including Wi-Fi access, minibar, and a coffee/tea maker. The tone is set the moment you step into the lobby of the Oberoi, Mumbai with its tremendous skylight and white Thassos marble tile. Set on exclusive Marine Drive, this luxury hotel affords unmatched views of the Queen's Necklace and Back Bay. Indulge in luxury dining or refresh with a signature treatment at the spa. Located on the shores of Back Bay, overlooking the sweeping curve of Marine Drive. Luxury rooms are beautifully furnished, ornamented with unique, modern art and equipped with the most modern amenities. The Holiday Inn is located in the cosmopolitan city of Cochin, known as the commercial capital of Kerala. Rejuvenate in the outdoor infinity pool or unwind with a drink at the sports-themed bar. The hotel is located 3 miles from the city center and 40 miles from the airport. Rooms feature warm contemporary design and modern amenities such as flatscreen TV and a pillow menu. Set on the man made Willingdon Island, the Taj Malabar, Cochin has breathtaking view of Cochin's famous natural harbor and backwaters. A seamless blend of old world charm and new age luxuries, the hotel promises the finest and most unique leisure experiences. It is the perfect place to start any journey through Kerala. Situated on Willingdon Island, with a magnificent view of Cochin's harbor. Featured among the top hotels in the city, The Gateway Hotel Varanasi is nestled amidst 40 acres of lush gardens. Enjoy their outdoor pool, fitness center, restaurants and bar. De-stress with their rejuvenating Spa therapies. Inspired by the principles and practices of yoga and yogic lifestyle, the unique experiences infuses your mind, body, and soul with positive energy. The hotel is ideally situated just a short distance from the commercial hub of the city. Spacious rooms complemented by efficient service welcome offer a great night's stay. Old world charm meets modern amenities in rooms that have been tastefully decorated and equipped with large bathrooms and wood flooring. Monograms provides travelers access to a Local Host®, so you will have someone on hand to answer those vacation questions pertaining to Mumbai. No waiting in line at the concierge desk or trying to ask your waitress at breakfast directions to the shopping district. Simply ask your Local Host® about Mumbai and you'll be on your way in no time. Plus, your Local Host® will share local Mumbai insights and share suggestions for getting off the beaten path, leaving you more time to create lasting vacation memories that are yours alone. Welcome! My name is Sarika and I am happy to be your Local Host in Mumbai! My family is from Mumbai and I was raised here. I am graduate in History but along with that I am also interested in culture, wildlife, art, and architecture. I became a guide in 2004 and have spent time in various regions of India. During this time I have learned quite a lot, but every day is a learning experience and increases my knowledge and I will be very happy to share my knowledge about my country(India) with all my guests. Designated an UNESCO World Heritage Site, the rock-cut caves at Elephanta Island is a worthy day trip from the bustle of Mumbai. The hour-long boat ride departs from the Gateway of India, reaching the island the Portuguese named for a stone elephant found on its shores. Visitors must climb a vast staircase to the 9th century caves, the path lined with a flurry of vendors selling trinkets and souvenirs. But if the hike is too much, climbers can pay locals to carry them in a chair for a few rupees. The six square mile island is the home to about 1200 locals mainly involved in growing rice, fishing and repairing boats. Bring a little appetite to Chowpatty – loads of kiosks selling Mumbai’s favorite snacks like Bhelpuri and Kulfi are a must for first timers. Then frolic with a wealth of entertainers like masseurs, snake charmers, contortionists and monkey trainers. Chowpatty also has historical significance for the city, as a place where the masses gathered for political meetings before India’s independence. And at night, be dazzled by the “Queen’s Necklace” – a theatrical view of street lamps that light up Marine Drive along the beach. 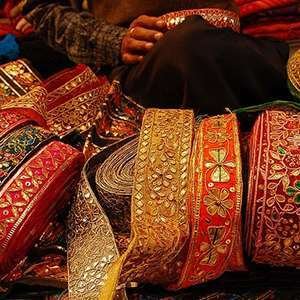 Capture a piece of Mumbai at the city’s largest marketplace for a reasonable price. Trinkets, shawls, food, antiques, clothes, shoes, jewelery, and art can all be found in this shopper’s haven. Developed in 1838 and renovated again in 1861 and 1863, it became a commercial hub with the opening of the cotton exchange in 1844. By the early 1950s the causeway gradually became known as the city’s most fashionable shopping center. Mumbai’s famous outdoor market is not exactly a haven for thievery, as the name chor may suggest. The bazaar is simply a beautiful congregation of people who come to browse, hunt and bargain for second-hand treasures. Monograms provides travelers access to a Local Host®, so you will have someone on hand to answer those vacation questions pertaining to Cochin. No waiting in line at the concierge desk or trying to ask your waitress at breakfast directions to the shopping district. Simply ask your Local Host about Cochin and you'll be on your way in no time. Plus, your Local Host will share local Cochin, India insights and share suggestions for getting off the beaten path, leaving you more time to create lasting vacation memories that are yours alone. Hello. My name is Radhika and I'm excited to share with you the unique city of Cochin. I look forward to making your stay unforgettable. Fort Cochin is the home to some of the oldest European architecture in India and has been a significant settlement ever since Cochin Harbour was discovered. 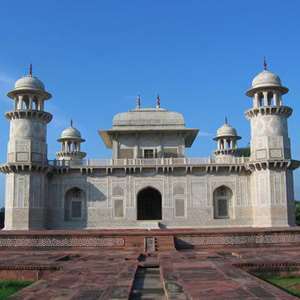 Here you will find an extraordinary wealth of preserved early colonial architecture spanning the Portuguese, Dutch, and British eras unparalleled in India. Time spent wandering the streets of Fort Cochin will be well spent. One of the oldest churches in India, this Portuguese built Basilica is over 500 years old. The interiors are decorated with colorful Indo-Romano style of decoration and outside you will find a Gothic façade with soaring spires. When Cochin was taken by the Dutch in 1663 the beautiful stained glass and the imposing Caryatids over the confessional boxes persuaded the Dutch to spare it. Monograms provides travelers access to a Local Host®, so you will have someone on hand to answer those vacation questions pertaining to Varanasi, India. No waiting in line at the concierge desk or trying to ask your waitress at breakfast directions to the shopping district. Simply ask your Local Host® about Varanasi and you'll be on your way in no time. Plus, your Local Host® will share local Varanasi insights and share suggestions for getting off the beaten path, leaving you more time to create lasting vacation memories that are yours alone. My name is Akhilesh and I've been a creative and enthusiastic tour guide for over 22 years. I look forward to welcoming you to Varanasi. Stroll through the streets and onto the riverside for an insider’s look at the symbiotic life of the riverside people. Continue to Bengali Tola, the street of the Bengalis, to see hidden Mother Goddess Kali shrines and vistas of life along the riverside. Head to an area where few tourists go - the bazaars in the Northern gallis of the old city to find hidden alleys leading directly through the sacred zone of Banaras to the oldest buildings of the city. Here in the lanes, peep inside the shops and temples and see how life is lived in this neighborhood. In Hindustani music, a gharana is a system of social organization linking musicians or dancers by lineage or apprenticeship, adhering to a particular music style. It also indicates a comprehensive musicological ideology. Hear Indian classical instruments such as the sitar, tabla, harmonium, flute, etc. Generally, the performance starts with prayer followed by a performance with other instruments. Q&A can be available at the end of the session.